Looking for female fairy names? Great! 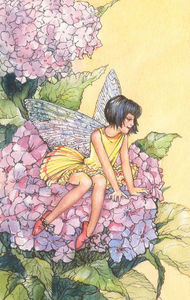 Here’s a collection of several names of female fairies, names of Disney fairies and other magical names. The origins of these names are diverse: some come from European folklore, others have their roots in Native American tradition, and yet others were born in the imagination of artists. I hope you enjoy them all. Did you find the perfect fairy name? For more magical and angelic names, please visit the following pages.